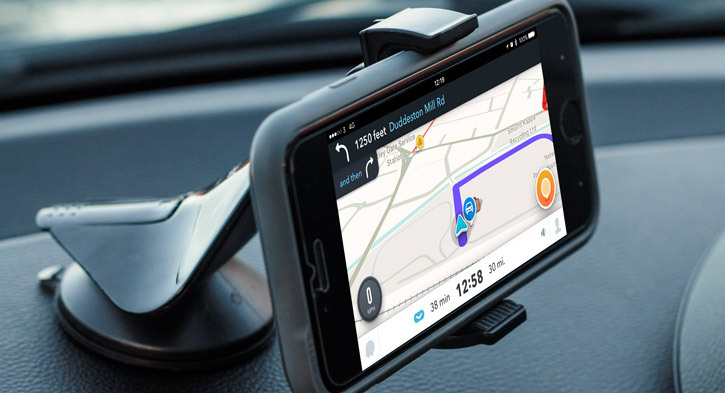 Hold your mobile device safely and comfortably in the car with this universal car holder from Olixar. Strong and steady. Sticky suction cup which is washable. The jaws are if anything a little strong. Doesn't wobble. Great neat holder. 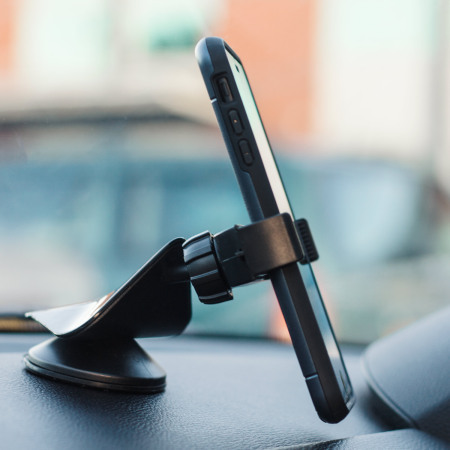 Great phone mount, it holds the phone very securely, and just keeps on staying attached to the dash. I found it essential to make sure the car dashboard is clean and dust free before putting the mount on it. Toyota Corolla , 2006 model. Nowhere to clip a holder. Then I saw this holder. 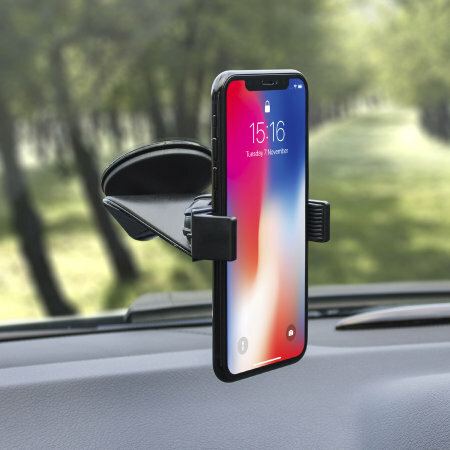 I was worried it wouldn't grip the textured dash or hold the phone securely. Don't worry, it just works! Holds my work iPhone and own motoG. Good value and even looks quite stylish. 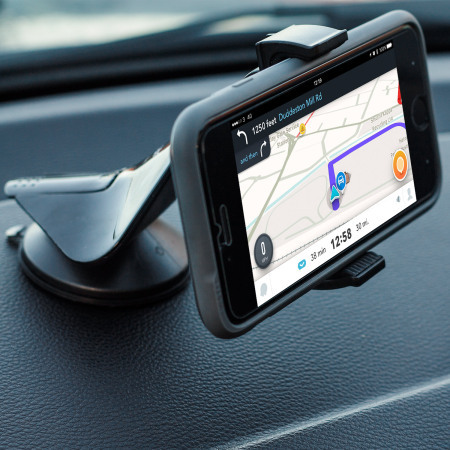 The GripMount by Olixar allows you to mount your mobile device in a number of different locations in your car. The dashboard, the windscreen, near the steering wheel or on the rear windscreen - the possibilities are endless. 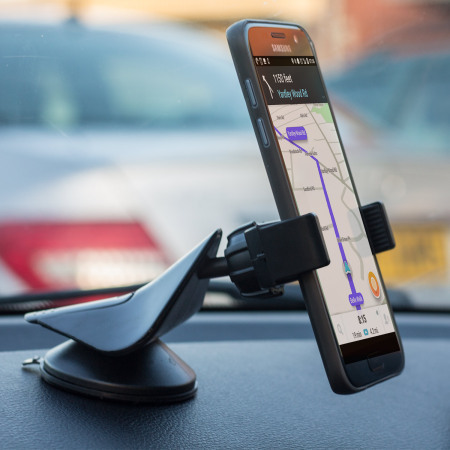 This allows you to use your device for a number of different things, whether it's for a Sat Nav, playing a video for the kids or just mounting it in a comfortable position which keeps your phone in view without blocking your view of the road, perfect for positioning to listen to your tunes on the road. 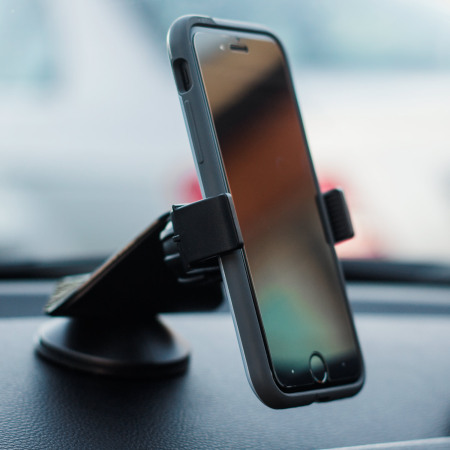 The GripMount Pro is designed to be incredibly slim line so it looks stylish whilst in your car, unlike some other chunky or larger phone holders. It also gives you full access to charging ports, buttons and your devices screen so you don't have to constantly remove the device from the holder to access it or charge it. There is also access for the camera at the back of the handset as well so that you can make recordings whilst you're driving. 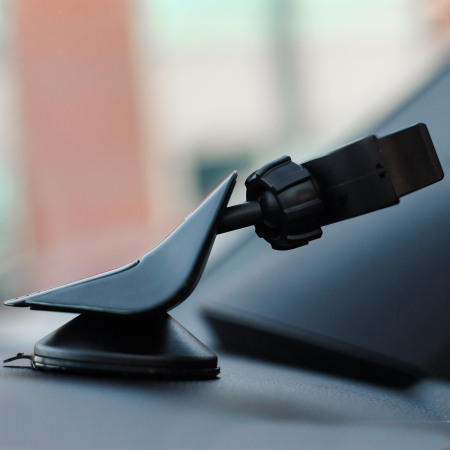 So if you want to record something on the road or record something in the back of your car, you can do it without removing it from the GripMount Pro. 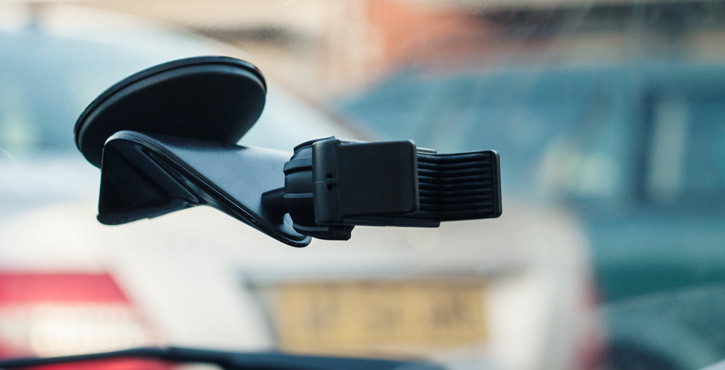 The GripMount Pro has been designed specifically to attach to your car's windscreen or dashboard. 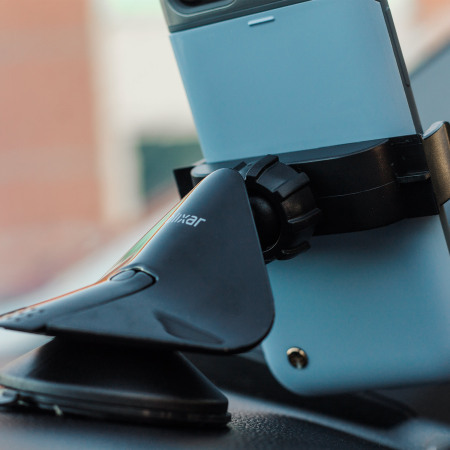 Choose according to your own preferences where you wish the GripMount Pro to be located, either on your windscreen or on your dashboard. Either way, you can be sure your device is securely positioned. As the GripMount Pro is designed to be universal it's also case compatible, so you can still use your phone whilst it's in its case. 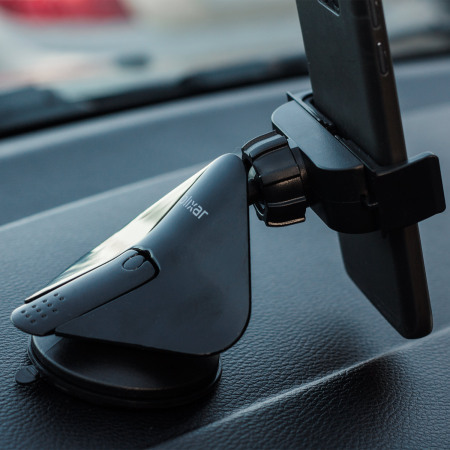 This allows you to easily clip your phone into the holder without having to remove it from any protective cases which you have attached. 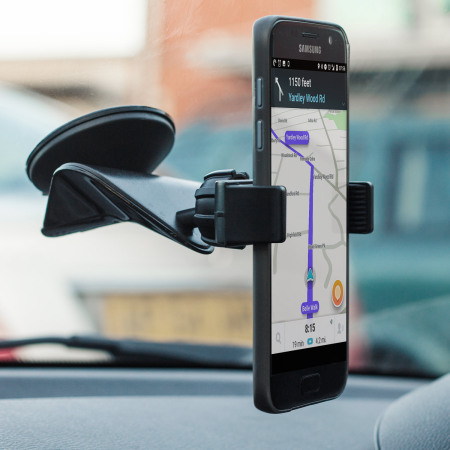 With an expandable width ranging from between 54mm and 90mm, this GripMount Pro will hold almost any phone, with or without a case, from an Apple iPhone 4 to a Samsung Galaxy Note 3 to a Sony Xperia Z1, and loads more. The simple design makes attaching your phone simple as well. 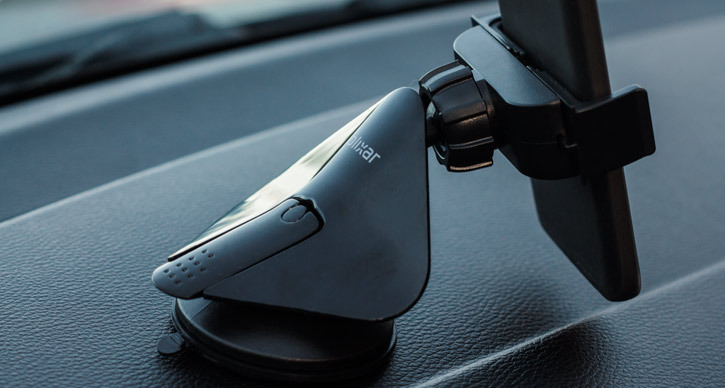 It's designed so that, with one hand, you can easily insert and remove your phone from the holder so within seconds you can be ready to drive or get out of your car. 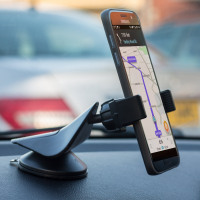 This car holder features a ball swivel joint, which rotates a full 360 degree angle, and tilts upwards and downwards to a degree of 60. this provides optimum comfort, which is incredibly important while driving. 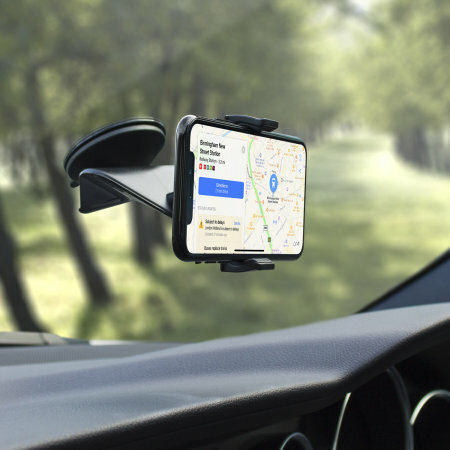 If the sun changes positions and you can no longer see your SatNav device in the holder, you can simply adjust it with one hand to suit your needs. 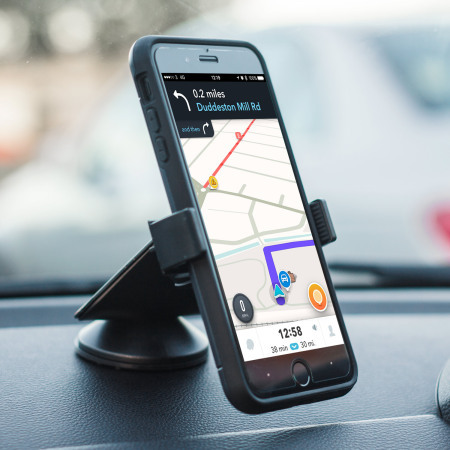 This cradle also features a reuseable gel suction cup, which aids the attachment to either your windscreen or you dashboard. To reuse time and time again, you simply have to wipe the suction cup with a wet cloth, and make sure it is completely dry, until the stickiness comes back and it is as good as new!